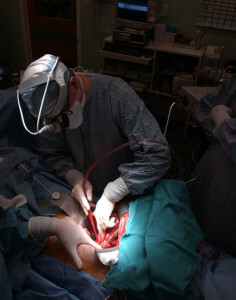 A liver transplant is surgery which is performed on the liver. During this procedure any damaged or diseased section of the liver is removed and replaced with a healthy organ. Although a fairly common process, this operation may carry some risks. The following information will help you get acquainted with the process of liver transplantation as well as the reasons, procedure and complications involved. When your liver stops functioning adequately, the condition is known as liver failure. Our body requires the liver for many important functions such as metabolism, protein production, storage functions, bile production, blood clotting proteins and removal of toxins. Our body cannot perform these essential functions without a healthy functioning liver. This type of liver failure can occur suddenly , acute liver failure which may be a result of infection or complications from interactions of certain medicines. It can also be the result of a long term process. In chronic liver injuries such as cirrhosis, the liver reaches a point where it can no longer function adequately. The only hope for long term survival for the patient is for a liver transplant. 1. Organ donation from a deceased person. 2. Liver donor liver transplant: This can be possible when a portion of the liver can be removed and transplanted from an immunologically similar donor. The liver has a very high regenerative ability. This is why the transplanted portion and the remaining donor’s liver can regrow back to a normal size. 3. Split donation: Our liver comprises of two portions- one big and one small. By using the process of split donation, it is possible to help two recipients by using only a single deceased person’s liver. Each portion can easily regrow back to the normal size in both the transplanted individuals. The following tests should be performed in a person before a transplantation operation can be performed. This helps evaluate the compatibility for a transplant. • Blood tests such as blood grouping, clotting function, biochemical profile to check liver damage. AIDS and hepatitis testing are also included. 1. Rejection: Our immune system is programmed to fight foreign invaders and it does so by recognizing antigens which are not present in the body. Because the transplanted liver has foreign antigens in its cells, our body recognizes it as an invader and attacks the transplanted organ. This can be an acute or chronic process. This is why anti-rejection medication and immuno-suppressants are given following a transplant. 2. Infection: The down side to giving medication to turn down your immune system against the transplanted liver is that it also decreases your natural defenses against infection. However this problem diminishes with time and can be tackled with the help of medicines. According to statistics by NHS Blood and Transplant, 86% of transplanted livers can function efficiently one year after a surgery.